Carpet Cleaning For Perth Dispels Myths of Cleaning a Carpet | Avail Quality Service! No one knows exactly from when, but it’s been long that myths are doing the rounds regarding carpet cleaning. Most of the people believe that carpets aren’t washable and after a certain period, they have to throw away their torn carpets. Do you believe in the same? Well, let us tell you that truth is something different. At Carpet Cleaning for Perth, we are professionals trained specifically for cleaning your carpets and restoring their conditions again. We make use of various techniques to wash those. In fact, with us, you can ensure the durability of the product with proper maintenance. Regular vacuuming is enough for cleaning. Truth is regular vacuuming essential to maintain your carpets but it’s not enough to eliminate the dust particles, bacteria, fungus and other microbes residing in the deep layers. Yes! The fibres of your carpet are excellent breeding grounds for harmful microbes. So, it’s very important to remove those unwanted organisms through our high-end machines of carpet cleaning. Methods to clean carpet vary according to its present condition, fibres of the material and extent of the damage. Primarily, two such methods are mostly used – Hot Water Extraction and Dry Cleaning. There are other techniques too, but all of these certainly don’t give the same result. In fact, if you apply same procedure for all carpets, you are surely going to damage it further. Carpet Cleaning for Perth team has the know-how of all these factors and use the most appropriate method to restore fibre quality. Believe us; this is a costly mistake. Remember that carpet fibres attract germs faster than you can even imagine. And if you wait till your new carpet looks dirty to be cleaned, the product gets damaged already. So, contact reliable professionals like us at Pinjarra WA 6208 at least after the 1st 6 months of purchasing. No! Not all chemicals are suitable for every fibre. What you’ll use for removing oil or grease will be too harsh on fruit juice spills. This is where professionals can help you. We use specific solutions that are mild and non-toxic for different stains and spills. Unlike most market solvents you buy, the cleaning solutions we use are not harmful to skin or do not contaminate the air. Being professionals, we have all the necessary tools and equipment required for different methods of carpet cleaning. We have expertise in fast and proficient cleaning. Our packages include free sanitising and deodorising to leave you with fresh air. All the cleaners with us are qualified and certified. The best part is we have extended our services in your suburb. If you are in Pinjarra WA 6208, you can always enjoy the benefits of our offerings, anytime. Talk to us today! 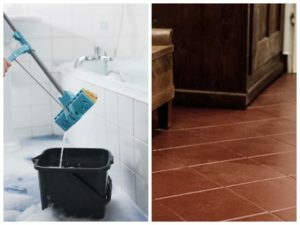 DIY Vs. Professional Tile And Grout Cleaning| Why You Should Hire Us? Usage of wrong chemicals that further damage the tiles. There is one solution to all these issues – hire the experts at Carpet Cleaning for Perth. We are in this business since years now and have the required knowledge to offer you excellent service. If you are still in doubt whether to perform DIY or recruit professionals for the job, keep scrolling. Let’s check out the DIY facts first. Regular mopping or cleaning cannot remove the brownish and dirty layer from the tiles. Because, it’s mostly the grout lines that have accumulated soil, dirt or dust which are tough to remove with DIY methods. Homemakers at Pinjarra WA 6208 usually do not purchase different types of solutions for cleaning tiles of different areas in the house. But using specific cleaning products is very important as per the damage of the tiles. What you’ll use to clean the bathroom tiles will not be effective enough to remove the oil on the kitchen walls. DIY methods have high risks of causing abrasion to the tiles. The processes may also cause cracks which in turn would cause severe health hazards. You might not be aware, but grouts being porous attract a lot of microbes and allow them to breed there. It is important to apply proper sealer after tile and grout cleaning. It’s quite tough to do this job if you are inexperienced. Our professionals have the knowledge of cleaning technicalities. They are all trained and certified people to offer complete cleaning solution. We offer top quality service in the fastest time as we are proficient in the job. We can identify the condition of your tiles through proper inspection instantly. After complete cleaning, Carpet Cleaning for Perth team would apply the grout sealants for mould growth prevention. We ensure longevity of your tiles and enhance the aesthetics of the surrounding. So, these are all the obvious reasons why professionals are best to hire instead of trying DIY and causing more damage. As we are now in Pinjarra WA 6208, you can contact us anytime to avail our service. Unclean Tiles and Grouts Can Affect Your Health! If you leave your tiles unclean, these can lead to serious health hazards as we said, grouts are porous. It’s easy for moulds to grow faster which further leads to allergies, skin problems, breathing issues, etc. We do not just offer tile and grout cleaning, but also ensure a healthy atmosphere indoors. So, invest in your good health with us! With upholstery at home or office, we have seen some people coming up with lots of queries regarding upholstery cleaning. True that cleaning the microfiber or the leather attached to the furniture is not an easy job. In this case, you can always give us a call to avail top quality service from one of the most reliable cleaners in Australia. Here are some of the questions that are probably popping up in your mind presently. Carpet Cleaning for Perth is here to answer everything. Is dry cleaning an effective method, as most tags suggest so? Dry cleaning is an effective method, but certainly not the only technique of cleaning your upholstery. Some fabrics can be wet cleaned; however, it is best to leave the job to our professionals who make sure the fabrics are not damaged further, in this process. What type of fabric can be cleaned? 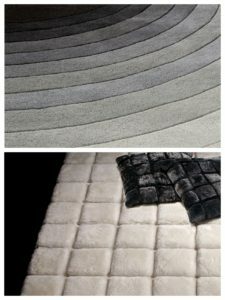 From microfiber and wool to natural cotton and leather, almost all types of fabrics can be cleaned. But for all these, the techniques are different. We have expertise in customising upholstery cleaning methods as per material and condition of the product. What type of upholstery do you clean? Is it possible to remove pet stains and odour from upholstered furniture? Yes! Of course, it is. For professionals like us, it is easy to remove the pet stains and odours, creating foul smell indoors. We use special black light method to detect the exact stain spot and remove using tested methods. Once we are done, our experts will sanitise and deodorise the place to enhance the air quality. Where to find professionals for cleaning the upholstery? If you are in Pinjarra WA 6208, it is best to avail professionals offering their services in this area. Good news is we are too in Pinjarra. We have successfully served many housing and commercial complexes with our proven methods of cleaning. To improve the décor of your room and ensure the durability of your upholstery, let Carpet Cleaning for Perth offer you the best service. Why not contact us now to discuss all your queries? We would be happy to help you. Hire Our Cleaners Today For An Amazing Cleaning Service In Pinjarra WA 6208. Carpet Cleaning for Perth is the go-to cleaning service providers for everyone in Australia. Our cleaning techniques are according to industry standards. We offer professional yet customer friendly approach. Cleaners with us are specialised in all types of cleaning you require. We can clean at your place or can also bring at our facility as per products and their conditions. Our team will first conduct a thorough inspection to identify the extent of damage before strategizing cleaning technique. The service packages we offer are based on best competitive market rates. Affordability is assured! So, as you are in Pinjarra WA 6208, hire our team to get solutions to all your cleaning problems today! Professional Carpet Cleaning Services in Pinjarra WA 6208 – Carpet Cleaning for Perth – call us on 0424 470 460.